Mckenzie Minx took home the January 2017 Player of the Month. Mckenzie who has been working hard with the college process was on hand to receive her award this past Sunday. "I am delighted for Mckenzie who had worked so hard in January. 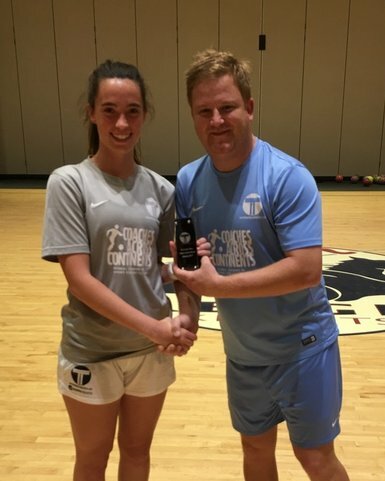 This included a trip to Florida to participate in a combine for prospective professional players where she received a reference from Tom Sermanni, Orlando Pride Head Coach and former USWNT Coach" Said TTi Sporting Director, Lee Cullip "Kenz has improved dramatically and we look forward to the summer working with Mckenzie for the WPSL squad" Cullip concluded.